The film picks up four years after the disaster at Jurassic Park. On a nearby island, dinosaurs have secretly survived and been allowed to roam free but now there is a more ominous threat–a plan to capture and bring the dinosaurs to the mainland. 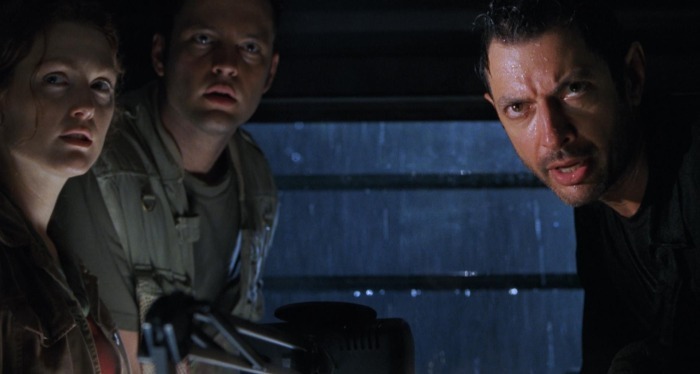 John Hammond, who has lost control of his InGen company, sees a chance to redeem himself for his past mistakes and sends an expedition led by Ian Malcolm to reach the island before the mercenary team gets there. The two groups confront each other in the face of extreme danger and must team up for their own survival in a race against time. After Michael Crichton published his Jurassic Park novel, fans really wanted him to write a sequel but he wasn’t interested as he’d never written a sequel to a book before. It was only when the first movie was successful that director Steven Spielberg asked him personally to write one. The novel was then published in 1995 and production on the Jurassic Park sequel began in September 1996. 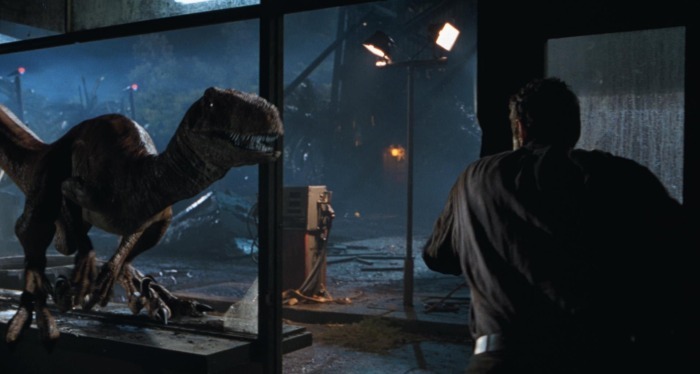 In Michael Crichton’s original Jurassic Park novel, many scenes were unused in the original film but were instead used in The Lost World and Jurassic Park 3. In the original novel, there was an opening scene with some creatures attacking some children. This was used in The Lost World‘s opening when a group of Compsognathus attack the children on the beach. In the original novel, Tim and Lex was trapped behind a waterfall with the T-Rex trying to eat them and Muldoon shoots the creature with a tranquilizer. 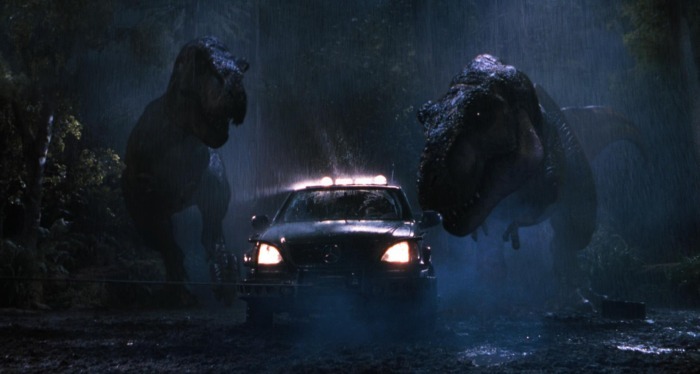 In The Lost World, this scene was used when Nick, Sarah, Kelly and Burke are trapped behind a waterfall and Roland shoots the T-Rex with a tranquilizer dart. The Lost World was filmed in California, specifically Eureka, San Diego and Burbank and in Hawaii, in Kauai. While the film’s ending takes place in San Diego, the only scene that was shot there was when the InGen helicopter flies towards the city. The rest of the sequence is shot in Burbank, California. Steven Spielberg wanted the T-Rex rampage in the story because he was inspired by a similar scene with a Brontosaurus attacking London in the 1925 film, The Lost World, which was based on Sir Arthur Conan Doyle’s 1912 novel. The Lost World made its way to to VHS and LaserDisc on November 4, 1997. The DVD was first released October 10, 2000 and included some deleted scenes such as Hammond’s exit from InGen. This was included in the Fox TV broadcast premiere. The Blu-Ray set was released in 2011 and includes the deleted scenes but they are of poorer picture quality than those found on the DVD set. The film was also released as part of a Jurassic Park Trilogy DVD Set in December 11, 2001 and the Jurassic Park Adventure Set in November 29, 2005. It can also be found in the Jurassic Park Trilogy Blu-Ray set. When the sequel was released, The Lost World broke many box office records. It earnt $72,132,785 on its opening weekend in the US which was the largest opening weekend at the time, beating Batman Forever with $52.8M. The film held this record for over four years until Harry Potter and the Sorcerer’s Stone was released in November 2001. 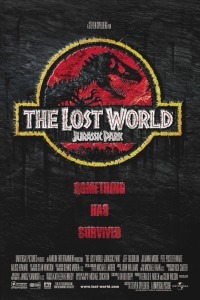 The Lost World also had the record for the highest single day box office takings of $26,083,950 on its opening day until it was beat by Star Wars Episode I: The Phantom Menace. It was also the fastest film to surpass $100M at the box office which occurred just after six days. Despite the box office success, it still didn’t match the original film. It grossed $229,086,679 in the US and $389,552,320 overseas, with a worldwide total of $618,638,999. It was the second-highest grossing film in 1997, behind James Cameron’s Titanic. When Jurassic Park: The Lost World was released, it received mixed reviews from film critic. It currently holds a 52% rotten rating on RottenTomatoes based on 64 reviews. The general criticism was aimed at the poor characters though some reviewers liked giving Jeff Goldblum a more centralised role. The positive aspects of the film were the dinosaurs themselves and the general creature special effects. The Lost World Script – This is the only Lost World script online and it’s unknown what draft it was. Is that a velociraptor or “swift theif? I am almost positive that Spielberg is running with the group of Japanese men in suits. Anybody else see that?